The podcast has been lauded for its complex portrait of a possible murderer. But what about the victim? As any devoted fan of the Serial podcast knows, one of the main issues listeners struggle with is what journalist Sarah Koenig refers to as “the Jay problem,” or the lies and inconsistencies in the testimony of Jay, the star witness in the case against alleged murderer Adnan Syed. The past few weeks have seen a number of thinkpieces based on issues Serial listeners have with the podcast other than the Jay Problem, from Koenig’s treatment of race to the show’s overpromotion of MailChimp (sorry, MailKhimp.) But every week, when I tune into Serial, I don’t think about “the Jay problem,” or the race problem, or even the MailKhimp problem. I think about the Hae problem, or why Serial has so much difficulty with Hae Min Lee, the beautiful teenage girl at the heart of the entire story. For those who aren’t as obsessed with Serial as I am, here’s a quick refresher: Hae Min Lee was found dead in Leakin Park, a large state park on the outskirts of Baltimore, Maryland, in the winter of 1999. 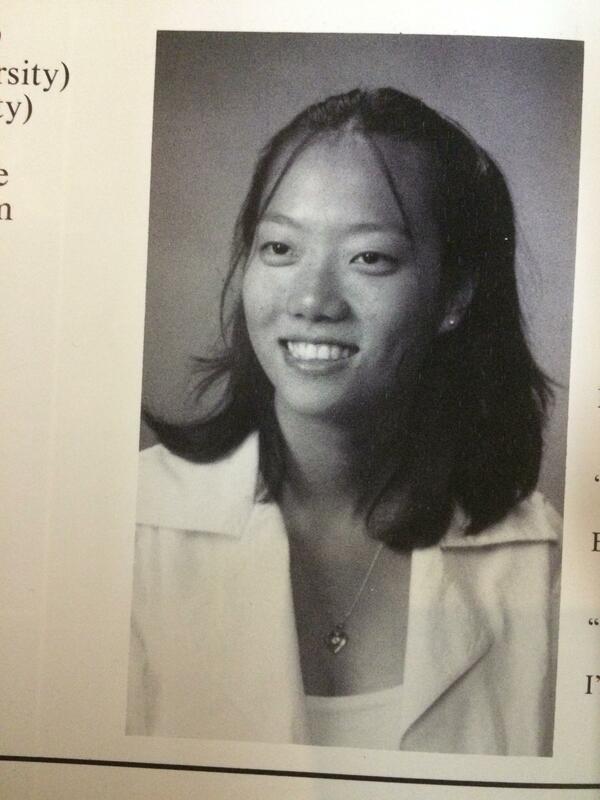 Lee was the ex-girlfriend of Adnan Syed, an honors student with whom Lee had broken up about a month before. Thanks in large part to the testimony of Jay, Syed’s friend and drug dealer, who claimed to have helped bury Lee’s body, Adnan Syed is now in jail for Lee’s murder, and the central conceit of Serial is the question whether or not he did it—or, at the very least, whether or not the state had enough evidence to put him away. Now that we’re eight episodes into Serial, we still don’t know the answers to the above questions, but they’re increasingly looking like a) probably and b) probably not. But for the past eight weeks, as I’ve been dutifully listening to Serial every Thursday morning, I find myself less concerned with who Adnan is and what his motivations might have been for killing Hae and who Hae actually was. And unfortunately, I’ve gotten very few answers. Here’s what we know so far about Hae Min Lee, the woman Syed allegedly strangled in a Best Buy parking lot, from the Serial podcast: She was an honors student. She was pretty. She played field hockey and lacrosse. She loved the song “All My Life” by K-Ci and Jo-Jo, to which she danced with Syed at prom. She was more than a little bit boy-crazy, as indicated by the fact that she wrote Syed’s name more than 100 times in her diary while they were still dating. She had a bit of a temper, but she was also fiercely sweet and loyal. And that’s about it. If the above description sounds like pretty much any other 17-year-old girl you knew growing up, that’s precisely what makes it so problematic. Although Serial has been (justifiably) praised to the heavens for its unique narrative devices and labyrinthine reporting and its complex treatment of its ostensible protagonist Syed, Koenig’s portrayal of Hae Min Lee, the young woman without whom Serial would not exist, has been woefully one-dimensional. Serial’s failure to represent Hae Min Lee as a full-fledged individual in her own right is all the more striking when you consider how much time and attention has been devoted to fleshing out Adnan and Jay, arguably the two “main characters” of Serial (as much as one can refer to a real person as a “character”). For the past few episodes, Koenig has been doling out morsels of Adnan and Jay’s personalities like so many bread crumbs, tossing them every which way so as to throw us off the trail: He was the boy next door. No, he was a player. He was a thug. No, he loved animals and Rage Against the Machine. But she’s failed to do this with Hae, to the point that Hae still remains a cipher, a glass of flat soda, a formerly fizzy, dizzy beauty queen who’s now nothing but a beautiful dead girl known for only being both beautiful and dead. We shouldn’t be too hard on Sarah Koenig, though, because she’s far from the first to fall into the trap of failing to adequately portray a female murder victim. The Beautiful Dead Girl is a long-standing trope, due to our culture’s morbid fascination with death and youth and female beauty, for as long as there’s been Beautiful Dead Girls for the media to be enamored with, from the Black Dahlia and Marilyn Monroe to Sylvia Plath and Princess Diana. Even HBO‘s much-loved True Detective fell into this same trap. These women usually have little in common, other than their skin color (perhaps unsurprisingly, the Beautiful Dead Girl is most often white), their pulchritude, and their lack of ability to convert oxygen into carbon dioxide. But they do share two defining traits: 1) Their lives usually end abruptly and violently and 2) We know far more about them after they died than we did when they were alive, in part because they are no longer around to contend the myths and misconceptions surrounding their all-too-brief, violent lives. In The Silent Woman, Malcolm refers to Sylvia Plath biography as an entire “industry” in itself, but there’s an even larger, more lucrative industry surrounding the cult of Beautiful Dead Girls. We can’t get enough information about them—why else does a new Monroe biography come out every year?—but more often than not, these biographical tidbits (e.g., Marilyn Monroe slept around, Sylvia Plath popped pills, Princess Diana was anorexic) add up to very little. Ultimately, we know nothing about these Beautiful Dead Girls, or what they were like before they were Beautiful and Dead—if they were kind or indifferent toward animals, if they were sad or goofy when they were drunk, if they cried at weddings, or they screamed during horror movies. A beautiful woman, especially one who fashions intrigue in such a way that she mixes mystery and access just so…becomes an icon in her lifetime, a living screen on which people project their fantasies about womanhood, femininity, art, insanity—a Rorshach test so convincing everyone believes that he alone sees the inkblot the right way—can become a monument to such a variety of meanings in the afterlife. We don’t know if Hae Min Lee was brilliant or vibrant or even particularly talented. (We do, however, know she was sexually active, as Koenig regales us with lurid details from her Best Buy parking lot assignations with Adnan—another indicator of the media’s fascination with Beautiful Dead Girls’ sexuality.) But sadly, we do know that her life was cut too short for the world to find out. That’s the story of Hae Min Lee that we should be focusing on—the girl that she was, and the girl she could’ve been, not the Beautiful Dead Girl smiling perfunctorily in her yearbook photo on the Serial homepage, or the tuft of black hair peeking out from the snow of Leaken Park, where her body was found. Young is right, of course: While he will always see Hae as his beloved deceased sister and will spend every second of his waking life bemoaning the fact that she only had 17 short years on this planet, we will always see her as a character in a drama. Or worse yet, if Koenig’s story continues in this vein and we hear nothing more about Hae herself or from her family—which, judging by Young’s statement that he refused to talk to Serial producers, it’s beginning to look like—we won’t even see Hae so much as a character as a bit player, a prop, a body on a slab being dissected by wisecracking criminal investigators with perfect hair. She will be nothing more to us than a girl who is Dead because she was so Beautiful that one man, whether it be Adnan or her new boyfriend Don or another anonymous perpetrator we haven’t been introduced to yet, didn’t think anyone else should have her. She will be nothing more to us than a girl who is Beautiful because she is Dead.